The Best Acclimatization for Climbing Kilimanjaro is very simple. Take more time. I know it costs more each day to stay on the hill, but trust me it makes all the difference. More acclimatization, means better safety. You are not pushing the limit. The additional times gives you an easier ride to the summit and safer descent. I highly recommend a minimum of 8 days on Kilimanjaro. I have climbed Kilimanjaro 30+ times and lead over 120 trips above 18,000 feet. LEARN MORE. All you body needs is more oxygen. Spend more time creating red blood cells and your body will be warmer, more efficient at carrying oxygen and this gives you an easier and safer climb to the roof of Africa. Don’t be fooled by the cheap, crappy Kilimanjaro climbs. READ SOME REVIEWS from our trips. In any given season the summit success rate on Kilimanjaro is between 42% to 48%. What a waste of time training, travelling to Africa and failing to reach the summit because you picked a cheap trip with crap acclimatization. To be successful you need a lot of things to go your way. The acclimatization for Climbing Kilimanjaro should be your number one concern. The second should be coming physically prepared. READ MORE about our training advice. Check our our TOP 50 TIPS for climbing Kilimanjaro. 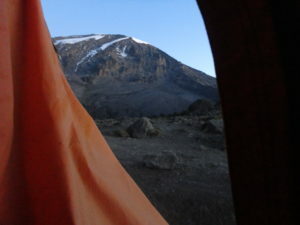 READ A POST from Michelle who failed to climb Kilimanjaro on the first attempt and then came on a longer trip with more acclimatization and was successful. You don’t want to rush this journey. You will want to take your time, take in this unique mountain experience with some amazing people. You will need to have excellent physical conditioning. If you sign up to one of our climbs we will help you prepare. We will be available to you 5 days a week when we are not on trips. We will help you build your fitness, conditioning and help you fully prepare for your journey to being fully prepared for your Kilimanjaro climb. The key is getting the acclimatization schedule correct. 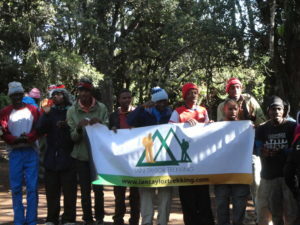 We have led over 2,000 people to the summit of Kilimanjaro with a 95% success rate on our 8 day climbs. 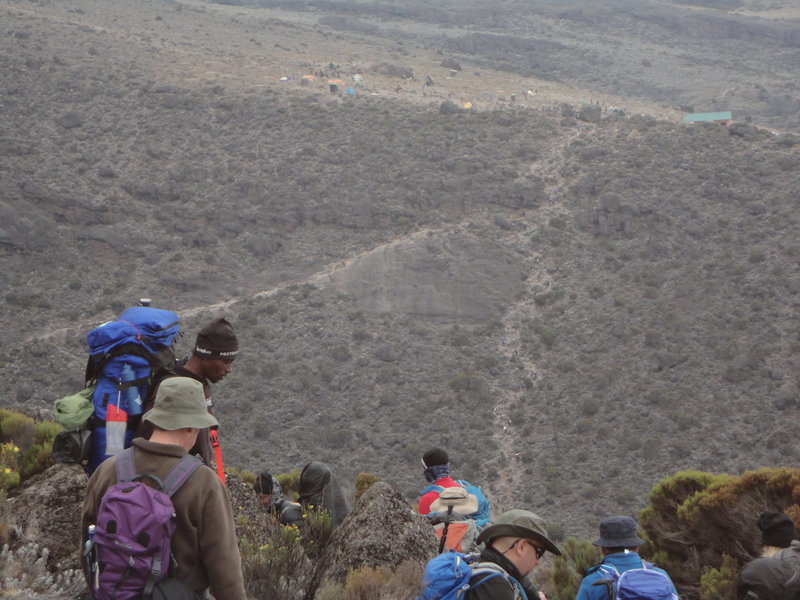 We have been running quality Kilimanjaro expeditions for over a decade. Ian has climbed Everest, 6 of the 7 summits, led 30+ Kilimanjaro climbs and numerous expeditions around the world. 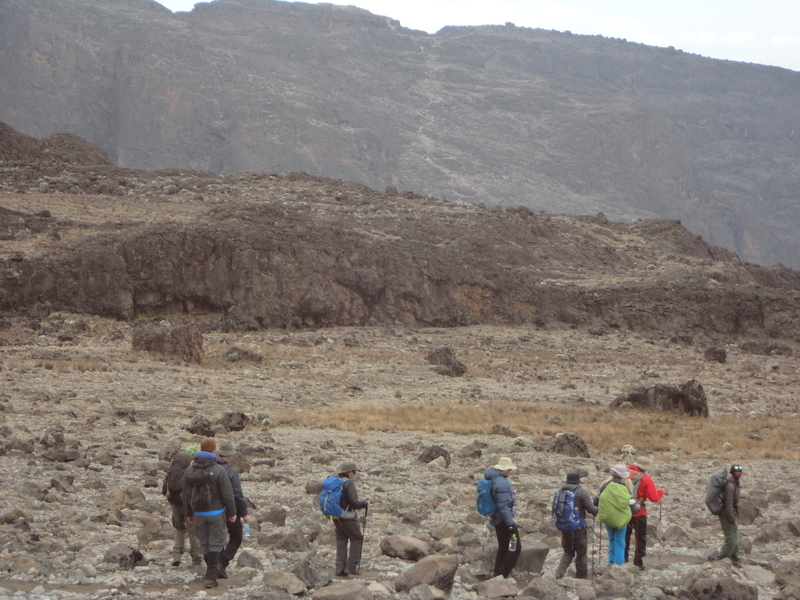 We have led Kilimanjaro climbs in 5,6,7,8,9 days and there is a noticeable difference in how people adapted and perform at altitude on a 6 day trip or an 8 day trip. The Best Acclimatization for Climbing Kilimanjaro needs to have an acceptable acclimatization period on route to high altitude. On Kilimanjaro this means you really need 5 nights sleeping below 4,000m/ 13,123 feet before moving higher on the mountain. Recent research suggests that you will need more time to adjust to the lack of oxygen at 3,500m/ 11,500ft. Adjusting and acclimatizing to low oxygen needs time. If you fail to acclimatize well lower down you will really struggle higher up and you are taking big risks moving higher. We have the best itinerary with the best service and acclimatization. Hundreds of people each year are choosing us for their Kilimanjaro climbs. Check out our TOP 10 TIPS for a successful Kilimanjaro climb. By spending five nights below 4,000m/ 13,123 feet on Kilimanjaro. This level of acclimatization gives you the best chance to making a successful ascent. Above 5,500m/ 18,044 feet you would enter the base layer of the death zone. This means your body would slowly be dying above this height and can not fully adjust to the low levels of oxygen above this height. 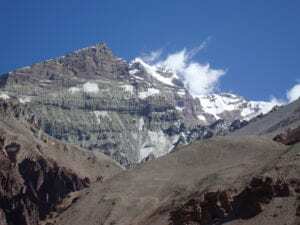 So having better acclimatization lower down helps you reach the summit and get safely back below 5,500m/ 18,044 feet quickly is really important. This can only be achieved by having the best acclimatization. While climbing Kilimanjaro you muscles will be working with 30% to 50% less oxygen, you have to make sure you acclimatize correctly in the early stage of the trek so your body is able to move higher. We can not stress this enough. For two years we ran most of our trips on the Machame route. The success rates were not as good as the Lemosho route. 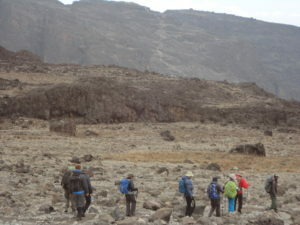 If people show up prepared we usually get 100% success on most of our Lemosho route trips. We set up a O2 test on each client over the space of a year. 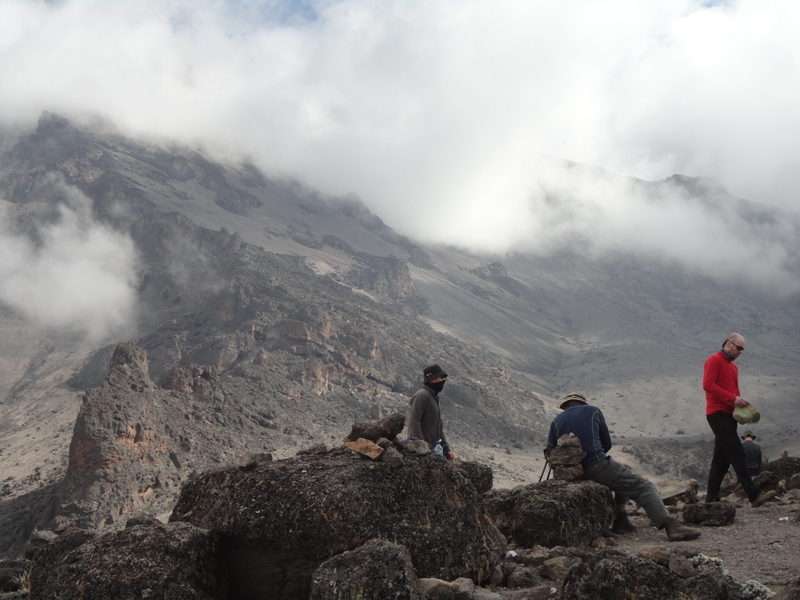 Our research suggested a big different between 7 and 8 days on Kilimanjaro. After conduction our research on the ground in Tanzania. We were convinced that the 8 day minimum on the Lemosho route was the only way to run Kilimanjaro climbs. added additional nights on the mountain makes all the difference. 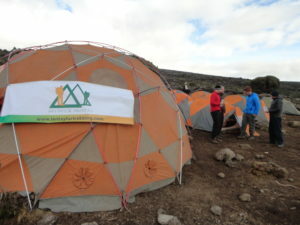 We are getting the best results from our Kilimanjaro climbs. We have a 95% success rate with clients enjoying their adventure, getting more from their experience. We continue to do research on all our trips in Nepal, Kilimanjaro and all our trips. Making sure safety is at the core of what we do. CONTACT US for further information.